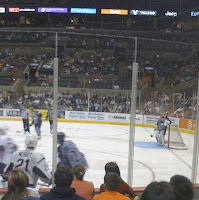 If you've never been to an Admirals Hockey game at the Bradley Center, then you are missing out! Ticket King has great Admirals tickets available for all home games. Experience the excitement of Admirals hockey by sitting on the glass (just watch out for flying pucks). Currently, the Admirals are fourth in the Midwest Division of the AHL's Western Conference. In addition to playing great hockey, the Admirals also offer several post-game concerts. Three more post-game concerts remain on the Admirals schedule this season including the Dropkick Murphys on February 24th, Styx on March 3rd, and Pat McCurdy on March 30th. Your game ticket grants you access to the post-game concert on the ice.